Initial Basic Training (IBT) is a mandatory training course that teaches basic riding skills to learner motorcyclists. It is part of the RSA’s Graduated Driver Licensing (GDL) scheme and is intended to improve road safety. There are two ways to start IBT trianing Direct Access and Progressive access. How does IBT direct access apply to me? How does IBT Progressive access apply to me? Progressive access is going from A1 to A2, or A2 to A or moving between categories. This is only possible after you have successfully completed a Motorcycle test in the particular category that applies to you. 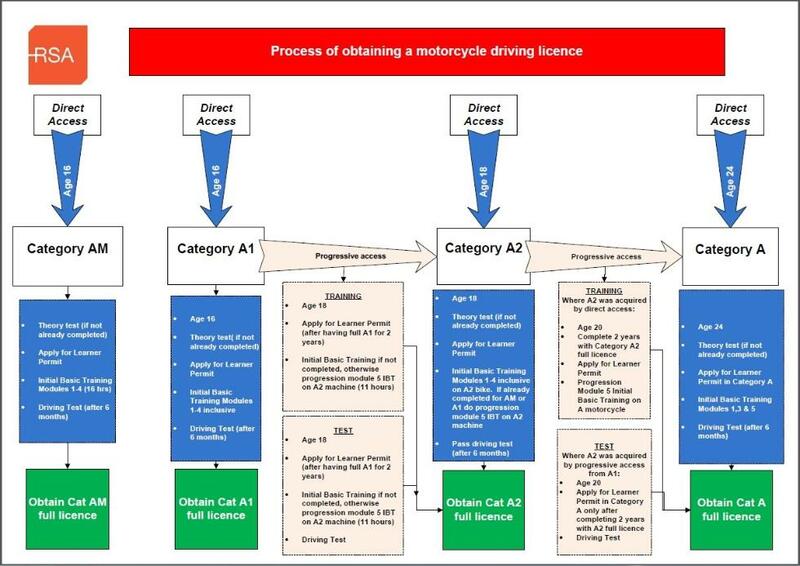 Then following that after two years you reapply for your learners permit to be able to do progressive access to the next and higher category of motorcycle which is 11 hours. 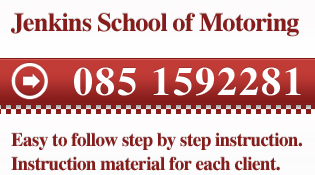 When you have completed your IBT course, Jenkins School of Motoring will record the details of your training in your logbook and issue you with a Certificate of Satisfactory Completion. About three hours to cover all learning points. 2. Know the primary and secondary controls of the motorcycle. 3. be able to carry out the basic technical checks. 4. Know how to take the bike off and on both stands (where fitted). 5. Know the basic safety checks (P-O-W-DD-E-R-SS). 6. Know how to move the bike without the use of the engine. 8. Know how to start and stop the engine. About five hours to cover all learning points. MOVE OFF AND STOP (INCLUDING ON -SITE RIDING). Manoeuvres (OSM) and Position – Speed – Looking (PSL) routines. About two hours to cover all learning points. At least six hours on road to cover all learning points. 11 hour Duration (13 Hours for new Direct Access options in A2 or A).